We have an enormous (and still growing) collection of original Easter colouring pages for all ages, for you to print and enjoy with your kids! To try to tame our collection and make it easier to find what you are looking for, we've separated them out into three different pages which you can browse below. 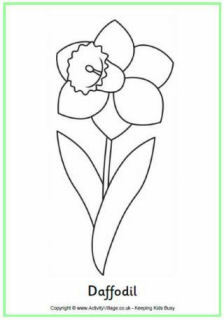 Many of our Easter colouring pages are also available as Easter Colouring Cards. A classroom of children are having lots of fun decorating Easter eggs in this fun colouring sheet for older kids. Spring is in the air and that means Easter is around the corner! This gorgeous Easter basket colouring page will delight kids of all ages. This simple Easter basket colouring page can be coloured just as it is by younger children, or "decorated" by older kids with some Easter designs before colouring. Here's a lovely colouring activity for Easter. 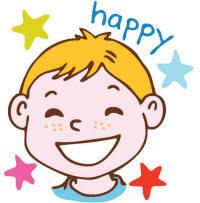 Can the children colour in the pretty basket filled with Easter eggs? This little girl is wearing a really spectacular Easter bonnet! Can you spot the eggs and little chick while you colour it in? If you've ever taken part in an Easter bonnet parade you'll know they're a very colourful event! Can the kids use their pens or crayons to make this Easter bonnet bright and cheerful for a parade? Here's a simple colouring page of an Easter bonnet that's perfect for younger children - perhaps they can draw a few extra flowers and eggs on the bonnet too? Three children are all dressed up for an Easter bonnet parade in this pretty Easter colouring picture. Children are petting and stroking bunny rabbits in this delightful Easter colouring page. Can you spot the eggs too? The Easter bunny blows a trumpet in this colouring page - and there's space for you to write your own message here too. Here's a cute colouring page of the Easter bunny aimed at younger children. Did you know that the Easter bunny painted all the Easter eggs? He does in this colouring page, anyway! Older children will enjoy colouring this pretty Easter picture, complete with eggs, daffodils, basket, bonnets and bunnies! The children are enjoying dressing up as Easter eggs and an Easter bunny in this fun Easter colouring page! Pass some time waiting for the Easter bunny to arrive by grabbing some pens and colouring in this big Easter egg! Here's a picture of a lovely big Easter egg for the kids to colour in with some pretty colours. Here's a pretty Easter egg hunt colouring page. Can your child count the eggs while he or she colours them in? 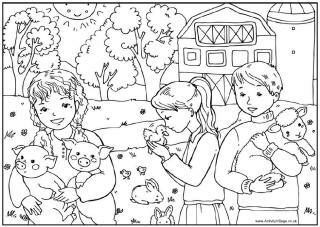 Print this lovely Easter egg hunt colouring page for older children. 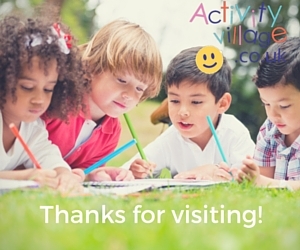 There is lots of detail to keep kids interested while they colour - and they can also count how many eggs they can find themselves! There's no mistaking what this colouring page is all about - Easter Eggs! Here's a cute goose colouring page - that looks like it has walked out of a Beatrix Potter farmyard, with its bow around its neck! Fun for the kids to colour in, we hope. Here's one of our very popular "word design" colouring pages, this one wishing you a Happy Easter! 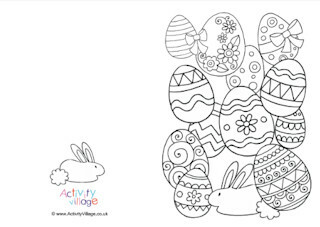 This Happy Easter colouring page has been left nice and simple so that younger children can colour it as it is, and older children can add some doodles and designs to the letters and eggs if they wish. Here is a joyful religious colouring page for Easter, celebrating the assension of Jesus Christ. This lovely colouring page shows Jesus with some of his disciples at the Last Supper.